Add a touch of glamour to your bathroom basin with the lovely Star Basin Set. 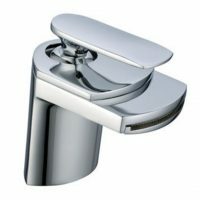 Featuring a unique, modern design, it is sure to add elegance and charm to any bathroom. Furthermore, it is specifically designed for straightforward and easy installation in Australian bathrooms. So installation will be a breeze. The Star Basin Set features a solid brass construction and a contemporary chrome finish. The wall top assemblies are ergonomic and can be used gently. 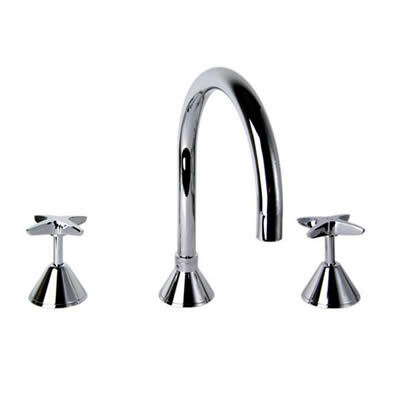 This bathroom tapware set is very rugged, highly durable and incredibly reliable. It will easily offer many years of excellent performance, even with regular usage. 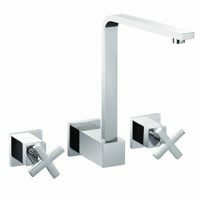 The Star Basin Set is a WELS approved product with a 4-star rating. Additionally, it features a water flow rate of 7.5 litres per minute. With superior workmanship, the Star Basin Set is backed by some impressive guarantees. These guarantees cover the tap body, internals and even the chrome finish. Rest assured that the Star Basin Set is a quality product, which will add elegance to your bathroom basin. Purchase this lovely bathroom tapware set from Ross’s Discount Home Centre to avail of our 14-day money back guarantee.